This article was originally published on Bottom Line.com in June, 2017. Life insurance can be a powerful tool for protecting your family’s financial future, but it’s crucial to understand the details of your policy, and how it works for you, before you sign off on a purchase. Can you describe all the types of policies you sell? Some brokers and insurers specialize in either term life insurance, which covers you for a set period (typically between 10 and 30 years), or “permanent” life insurance, which is designed to cover you for your lifetime and accumulates cash value that you can borrow against or use to fund future premiums. If the seller handles only one type of insurance, you will be steered into that type—whether or not it’s the best type for you. For most people, term life coverage is all that’s needed. Permanent life premiums can be upwards of 10 times as high as term life premiums for the same amount of coverage, which is a high price to pay for insurance that might not be right for you. On the other hand, an inexpensive term policy might not protect you for the length of time that you need. How many policies will you compare for me? Every insurance company will weigh similar health factors when evaluating you for insurance. But each company interprets those factors differently, which means that the cost of life insurance for a given person can vary widely from company to company. It’s vital to compare at least three to four different policies before applying. 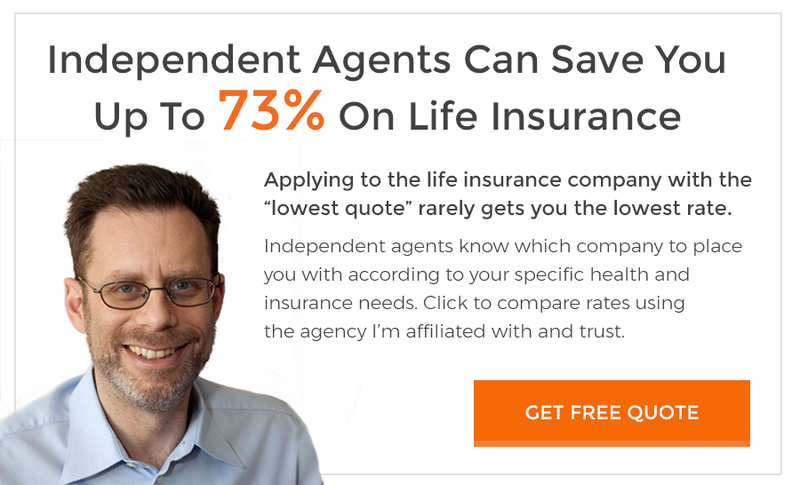 You should be able to get quotes and eligibility information for various policies without actually applying for them after completing a questionnaire about your current health, lifestyle and medical history. Which of these policies has the most competitive premiums? As you compare policies, don’t be misled by the prestigious-sounding terms that insurers use for their rate classes, such as “super preferred” and “preferred elite.” These are essentially marketing tools. It’s far more important to look at the premium being charged for a policy than the rate class the company assigns you to. How did you determine how much coverage I need? If you ask for advice on how much coverage to buy, a broker or insurer should use specific numbers to justify any recommendation. You want to see all the potential expenses they’ve included in your coverage recommendation, including your family’s annual living expenses, potential lost income, mortgage balance and other outstanding debts to cover, and future education costs, if any. Beware of “rules of thumb” for life insurance amounts based on a specific multiple of your income, because income is just one part of anyone’s financial picture. What’s really guaranteed? Policies should include guarantees that lock in how much you’ll pay for and receive from a policy. But some contracts can be misleading. In term life policies, look for a “level premium” which guarantees that premiums and benefits remain constant over the full length of the term. Otherwise, the company could increase your premiums. For permanent life, beware of projected growth rates for cash value, which are often optimistic illustrations of how your money could grow within a policy. Instead, you want to see the guaranteed minimum growth rate. What fees and restrictions apply to this permanent life policy? Sales and marketing materials for permanent life insurance often hide the details about how returns are calculated, potential fees you pay, and how you can access your cash value. Make sure you ask for a written breakdown of restrictions and potential fees, including annual investment management expenses, the interest rate on loans taken against cash value, and surrender charges for terminating or making withdrawals from your account within the first few years of purchasing the policy. Compare policies based on these potential fees and restrictions to find the one you’re most comfortable with. What’s the financial strength of the company issuing the policy? You must be confident an insurer can meet its obligation to pay your death benefit. Insurance companies are rated on their financial strength by a number of independent agencies. To eliminate the possibility that a broker or insurer might cherry-pick the company’s highest rating, ask to see all the ratings available on the company you’re considering. Once you have those ratings, research what they mean—each rater’s scale is different. An A rating might look great until you realize the top score from that agency is AAA. The company A.M. Best, the oldest company specializing in rating insurers, is a particularly good resource for checking the financial stability of an insurance company. You can learn more about the various ratings companies at tonysteuer.com. What happens to my policy if my health status changes? The good news: With a fully-guaranteed term or permanent contract, the insurance company can’t increase your premium or reduce your benefit if you develop a medical condition after you’ve purchased your policy. But in some cases, you can apply for a premium reduction if your health status improves (if you quit smoking, for example). Ask whether policies allow for those future reassessments, and weigh the answer with other aspects of each policy.